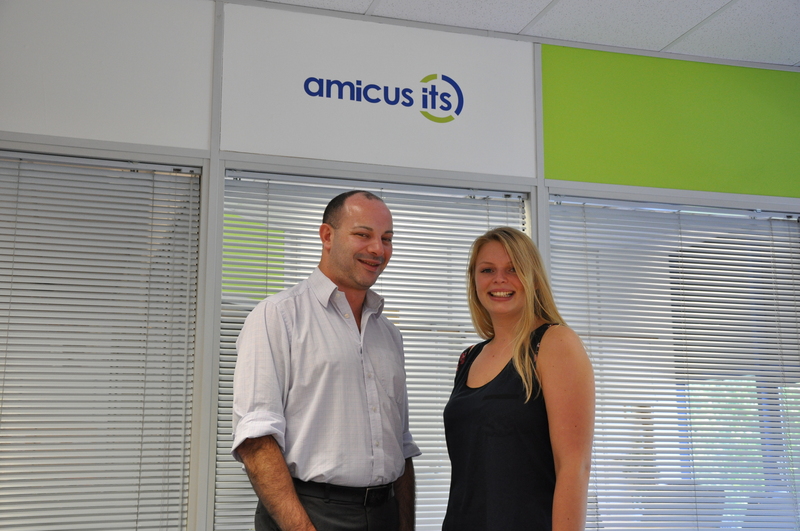 Two Amicus ITS employees have been nominated for the prestigious, national UKIT awards 2014. Competing against the best of the IT industry are: JP Norman, Head of Technology & Governance, nominated for “Security Professional of the Year”, as well as Mercedes Coombes, Service Desk Level 2 Analyst who is in the running for “IT Service & Support Professional of the Year”. The UKIT Awards, part of The Chartered Institute for IT, recognise excellence and outstanding performance throughout the UK computer industry. The awards focus on the contribution and achievements of individuals, projects, organisations and technologies that have excelled in their use and the successful development and deployment of IT in the past 12 months. The judging is based on 4 key categories: professionalism, innovation, becoming a role model figure and evidencing measurable success, all of which JP and Mercedes have excelled in. JP is solely responsible for the implementation of ISO27001, developing Compliance into a Service for all clients, and bringing the company’s IGSOC compliance from 66% to 100%. In addition, Mercedes has shown great initiative and going above and beyond normal duties, to ensure clients get the best service possible. She is known for her attention to detail and has demonstrated her understanding of intricate technical IT systems. Both JP and Mercedes will find out if they have been shortlisted on Friday 5th September, to make it through to the finals on 12th November 2014 at Battersea Arena in London.